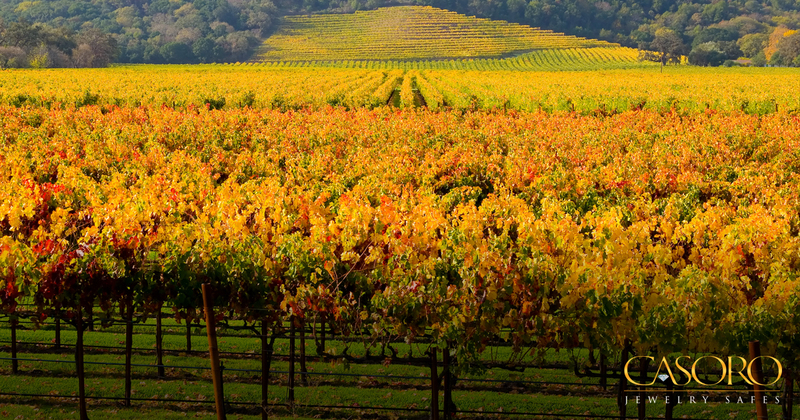 Napa Valley is known for its beautiful wineries spanning as far as the eye can see. From Calistoga, through St. Helena, Napa, and into American Canyon and on to the shore, there is no shortage of wine tasting opportunities. With so many to choose from, here are three wineries you should not miss the next time you visit California’s wine country. Over 45 years ago, Cakebread Cellars started as a family hobby. Jack Cakebread, owner of Cakebread Garage, an automotive repair shop, purchased land from a friend. He and his wife, started what is now Cakebread Cellars and tended to their winery with family and friends on the weekend. In 1973, the Cakebreads took wine making classes at UC Davis from instructors Louis M. Martini and Robert Mondavi (of Mondavi Woodbridge Winery in Lodi California and Opus One in Oakville, California). A year later, Cakebread Cellars was completed and their first wine, the 1973 Sauvignon Blanc, was produced. Enjoy a pleasant walk through the gardens filled with colorful flowers, fragrant herbs and vegetables. Cakebread Cellars is a quintessential Rutherford winery. The staff is knowledgeable about the history of their wines and grounds, and are more a wealth of information than sales people trying to get you to buy cases or join a club membership. Their focus is on your enjoyment of their winery and wines. The Del Dotto family has been in the winemaking business since the 1400’s. Dave Del Dotto and his wife Yolanda were casual wine collectors until 1988 when Dave found a 1912 Frank Lloyd Wright craftsman home with 17-acres in Rutherford while visiting Napa Valley. He moved his family from Kona, Hawaii to the mainland in 1990, and started growing cabernet sauvignon, cabernet franc, merlot, and sangiovese grapes. Today, Dave and Yolanda make small production premium wines. In the past three decades, they have added pinot noir, chardonnay, syrah, and other fine white wine vineyards off the Sonoma Coast, as well as other wineries in St. Helena, Howell Mountain, Oakville, and surrounding areas. Aside from the lovely grounds at the Piazza Del Dotto Winery in Napa, the Del Dottos have two unique wineries- The Del Dotto Estate Winery and Caves in St. Helena and the Historic Del Dotto Winery and Caves. Yes, caves! The tours go through historic handmade caves filled with wine barrels to sample from. Well known for their heavy pours straight from the barrels, the guides are knowledgeable, not only about their wines, but winemaking as a whole. Pairings are given throughout the tour and a snack at the end. Before the renown Castello di Amoroso winery, Dario Sattui regenerated his great-grandfather’s love for winemaking at V. Sattui (names after Dario’s grandfather, Vittorio) in 1976. The importance of good food to accompany good wine is at the heart of the V. Sattui winery. Create your own wine pairing with its amazing artisan deli with cheeses, meats, hot and cold sandwiches, salads, truffle mac and cheese, and more. Then, enjoy your spread outside in the family-friendly picnic area. They make charcuterie in house at their own salumeria which pairs well with any of their 200 different cheeses and fresh fruits. The wine tasting area behind the deli is entertaining for adults and kid friendly with grape juice for those under age. During the weekends, V. Sattui celebrates Saturdays and Sundays with a BBQ. It is no ordinary BBQ as you enjoy thin crust pizza from their wood burning oven, BBQ ribs, tri-tip, salmon as you lounge on the grass or picnic tables in their 2-acre grounds shaded by large oak trees. California wine country is an outstanding setting to enjoy a relaxing vacation away from the rushed pace of everyday life. Great food, wonderful wines, beautiful scenery – what more could you want? Cheers!